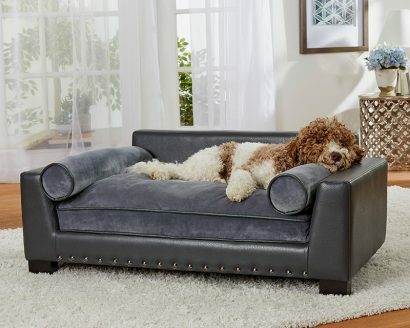 Cooper, a 22 pound Havanese sits comfortably on our Cliff Sofa, a modern design in grey Ultra-Plush accented with black welting. Fully upholstered with furniture-grade construction, it offers a comfortable full loft cushion. Ollie, a 30 pound Italian Waterdog, is lounging on the Skylar Sofa. This modern lounge features dark grey, pebble grain, faux-leather with nailheads. 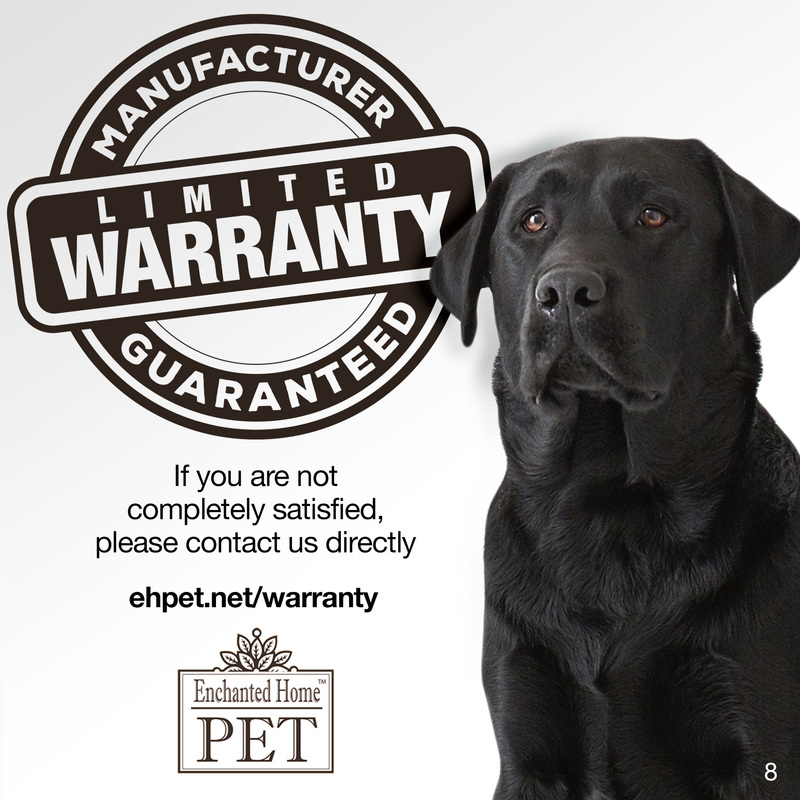 Its Ultra-Plush cushion and two bolster pillows for lounging make it super comfortable for leaners and stretchers. 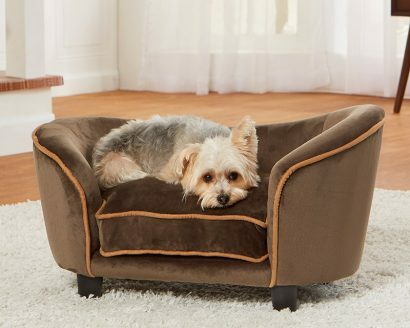 Kimmi, a 6 pound Morkie has found the perfect spot to curl up on our classic Ultra-Plush Snuggle Sofa in mink brown with contrasting welting. Its curved shape features our Sleep Comfort contour style to provide a sense of security while sleeping. 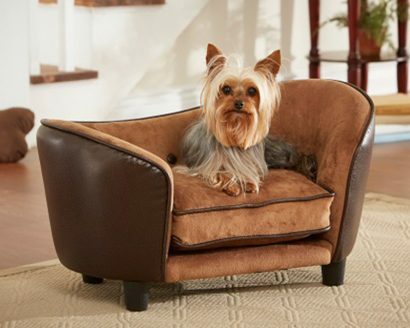 Perfect for the pet who loves to snuggle, this sofa boasts a full loft cushion for luxurious comfort.